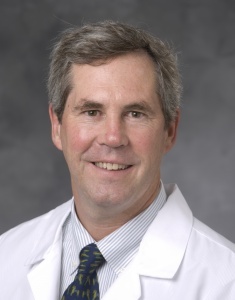 John Moses is a primary care pediatrician at Duke University Medical Center. While he was an undergraduate student at Duke, Moses took a photography class from CDS faculty member Alex Harris. Before attending medical school, he spent a year photographing the conditions of migrant farmworkers in the Southeast. His current projects include a book about primary care medicine and a book about children and illness. His courses include Medicine and the Vision of Documentary Photography, part of the Focus Program, and Children and the Experience of Illness, in which students teach photography to children being treated for illness and write about their experiences during the semester. Of the class, he says, “It has become a way for students to process their own issues with illness.” Moses plans to continue developing other opportunities for undergraduates to work with documentary studies and medicine.